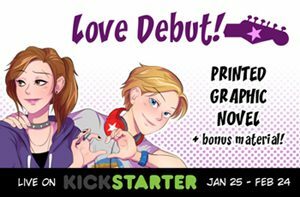 I have a special note today, a friend of mine, @onelemonylime on twitter has started her Kickstarter campaign to fund printing of her webcomic Love Debut! If you aren’t already familiar with her comic please go check it out and support her campaign to print! My goodness! I didn’t expect that reaction. It appears that Rita is broken in her own way by being so needy that her sense of self and position is threatened by Georgia doing something that doesn’t include her. I don’t think that it’s because of dependency. I think it’s more that she was so anxious and freaked out that she couldn’t get a hold of Georgia, whom she knows to have depression and other mental illnesses. I would freak out if a friend of mine, who is as depressed as Georgia, went missing, and I couldn’t get a hold of them, either by phone, or not being able to find them at all. I would genuinely be concerned that something happened. Along the lines of this yes. I wrote Rita’s response mostly as that time when you let all of your feelings out that you’ve been holding in after the crisis is over. Wowee nowhere in this comic have I ever got that about Rita’s character. That’s a big jump considering. Also crying in relief after finding out someone who is depressed that disappeared without a word and could hurt themselves is fine is totally normal. I think if it were dependency or jealousy she’d be acting really mean and angry about it. This reminds me more of what Celest Grim says, because I’ve seen it happen. My sibling is suicidal and a addict, so when they have disappeared like that (and they do this quite often… unfortunately) you have to stay calm during the crisis because you have to keep your wits about you and think hard about how to find them. Usually when the person is found all that emotion you held back so that you could be effective in the search comes out like a huge tidal wave. It’s relief, in a way. And in a way I’ve seen Rita in that role, as a caretaker. 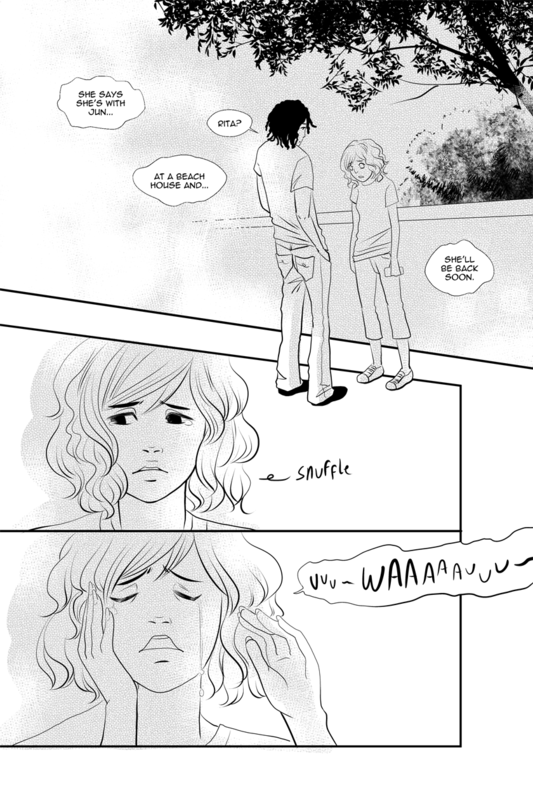 It probably was so scary for her not to hear anything for so long. Being a caretaker myself, I understand. It’s a tough position to be in. There’s a lot of helplessness when you can’t immediately be by their side in case they need you. You know what else it could be? I just thought of this. Along with the above, think about it, Georgia doesn’t typically do things for herself that are considered all that grand. Georgia is with a friend at a beach house. I think if I heard my sibling was doing something good for them-self I’d probably cry happy tears too. Perhaps Rita’s are a mix of relief, and a bit of joy too. OK, I got it. I’ve never see Rita’s side to it before. I’ve seen falling apart while someone else is missing but not not holding it together until afterwards. Also, I’m the one more likely to disappear for a while.